Do you love a good Twitter Party? You know we do and we’re excited to host a party about Mohawk SmartStrand® Carpeting and saving yourself the hassle of stains! 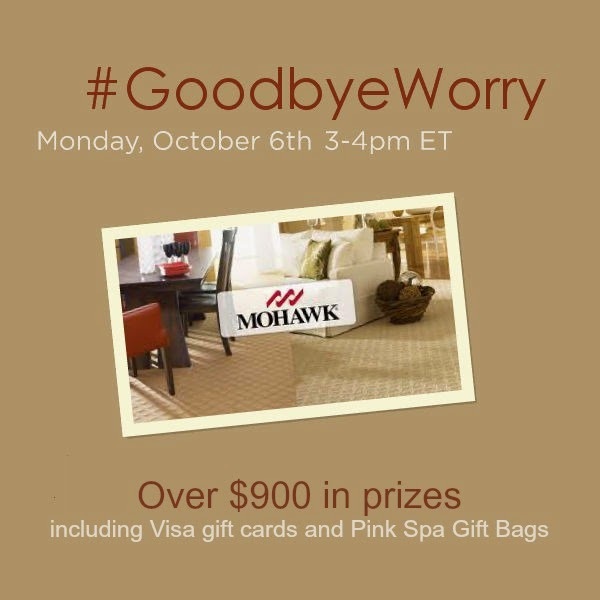 On Monday, October 6th at 3-4pm ET, please join us for the #GoodbyeWorry Twitter Party where we’ll be discussing stains, carpeting and an anniversary sale, plus giving you a chance to win prizes! When my five children were growing up, you can bet we had lots of spills and mini disasters on our carpets. Whenever we installed new carpets, they didn't remain clean very long, and I just figured it was part of life with children. Today's families are lucky because they have the option of choosing places like Mohawk Flooring where they can purchase SmartStrand® carpeting and not have to worry about constantly trying to keep those carpets clean. I hope you'll come join us for this great party, where we'll be sharing great carpet tips, and where you have a chance to win some great prizes. 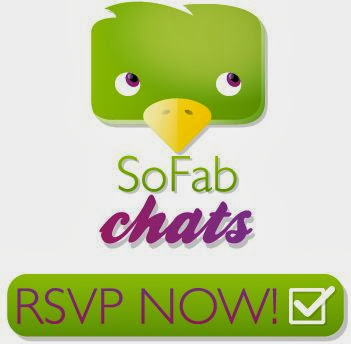 Join me and RSVP for the #GoodbyeWorry Twitter Party on SoFabChats!